UH launches a $1 billion campaign. There are no “happy accidents” around here. Our success is not owed to serendipity, or happenstance or fate. Generating a $5.3 billion-plus economic impact on Greater Houston each year? That’s no typo. A quarter of a million alumni didn’t pop up overnight, and it’s no coincidence that more than 150,000 have stayed in Houston, driving the workforce. We’re the University of the city that went to the moon without waiting for the stars to align. At the University of Houston, we’re not interested in strokes of luck. We pursue strokes of genius. And when lightning strikes, we won’t have to steal the thunder. Because we’re prepared to earn it. Here, we go forward, further, faster. Here, we go boldly. And here, we go all out: fueling opportunity, building on our strengths and transforming lives. It’s been more than 25 years since UH’s last major fundraising campaign—and look how far we’ve come since then. We’re a Tier One Carnegie-designated research university, a member of Phi Beta Kappa and growing at an unprecedented rate, both in size and prestige. Now, we’re taking those achievements to the next level, embarking on a historic fundraising campaign that will culminate in $1 billion raised by 2020. Believe it or not, we’re already more than halfway to our goal: from the beginning of the “silent” phase in 2012 to the launch events on January 18, we’ve already raised more than $684 million. 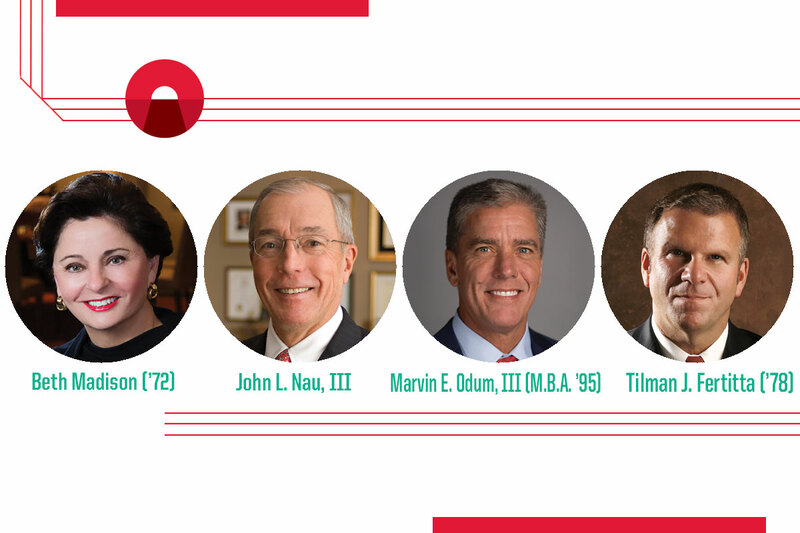 We are grateful for the commitment and loyalty of our volunteer partners, including four Houston luminaries who are leading the way to success by acting as our campaign co-chairs. 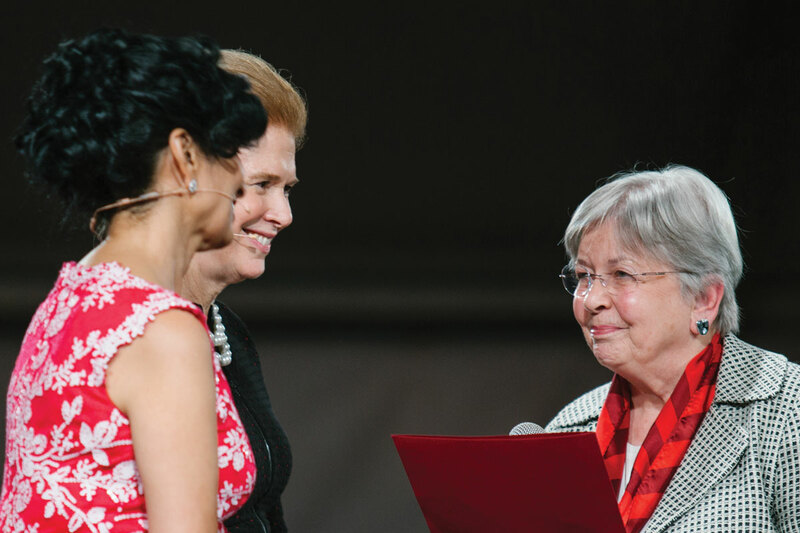 There was certainly a standout moment at the VIP Public Campaign Launch event on January 18: the announcement that the John P. McGovern Foundation has made an incredible commitment to the UH College of the Arts. In recognition of this transformational gift, UH will rename the college for former art student Kathrine G. McGovern (’61). The Kathrine G. McGovern College of the Arts is the first college at the University named after a former student and also the first named after a woman. “I cannot think of a better investment than in this great institution. My background is in art, and I had my first formal art training at UH in the late 1950s and 1960s,” Mrs. McGovern said. “Houston has world-class art and artists with some uniqueness that comes from our geographic location and our history. I think the future is very bright for the Houston art scene.” With supporters like McGovern fueling the College of the Arts, UH students and faculty will play an even bigger part in our transformation into a nationally prominent arts city. We’re focusing on the five following priorities that will help us get where we’re going. 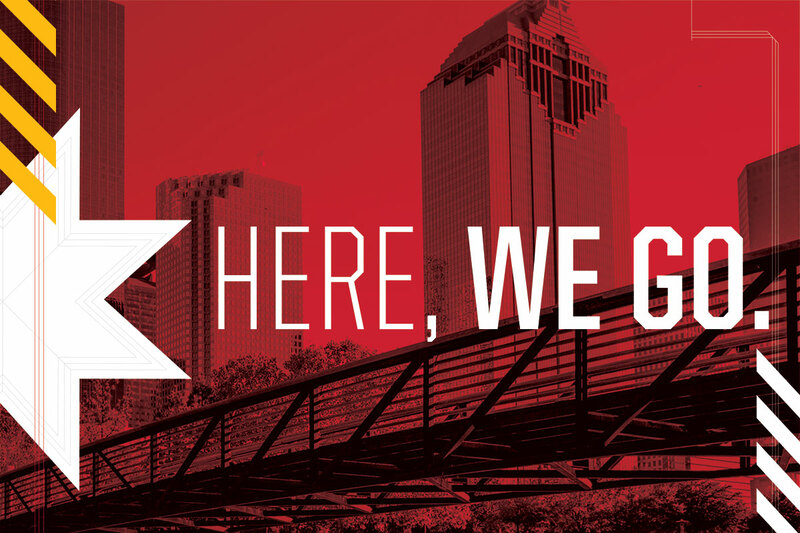 The great thing about the “Here, We Go” campaign is that your gift—no matter the amount—makes a tangible difference in the lives of students, faculty and countless others touched by the UH community. Every donation made to UH contributes to our $1 billion goal, no matter where you choose to give. You can give to the area that ignites your passion, whether that’s your college, a specific research fellowship, building funds or student scholarships. Students embrace a new cold-pressed juice business that’s taking a “radicle” approach.